This manual is a work in progress. Feel free to contribute and help us to make this manual useful and pleasant to read. 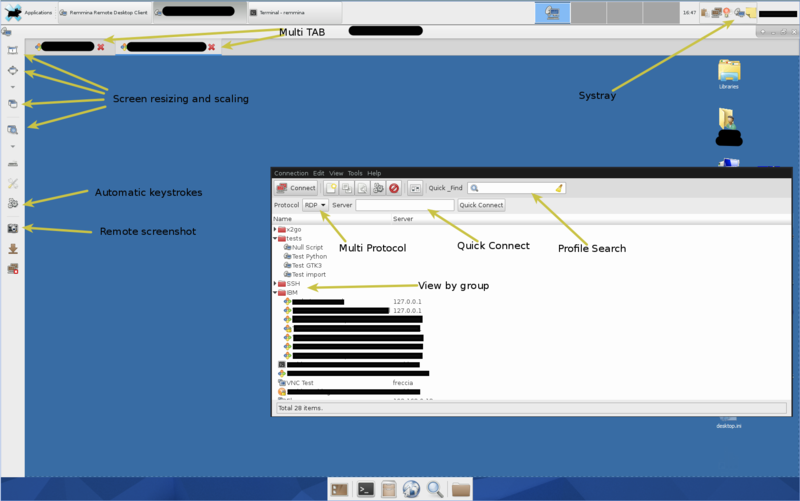 Remmina is a feature rich Remote Desktop Application for GNU Linux(tm) and FreeBSD and possibly other Unixes. Remote desktops with higher resolutions are scrollable/scalable in both window and fullscreen mode. Viewport fullscreen mode: remote desktop automatically scrolls when the mouse moves over the screen edge. Floating toolbar in fullscreen mode, allows you to switch between modes, toggle keyboard grabbing, minimize, etc. Tabbed interface, optionally managed by groups. Use this if you don't need or want to save your connection. 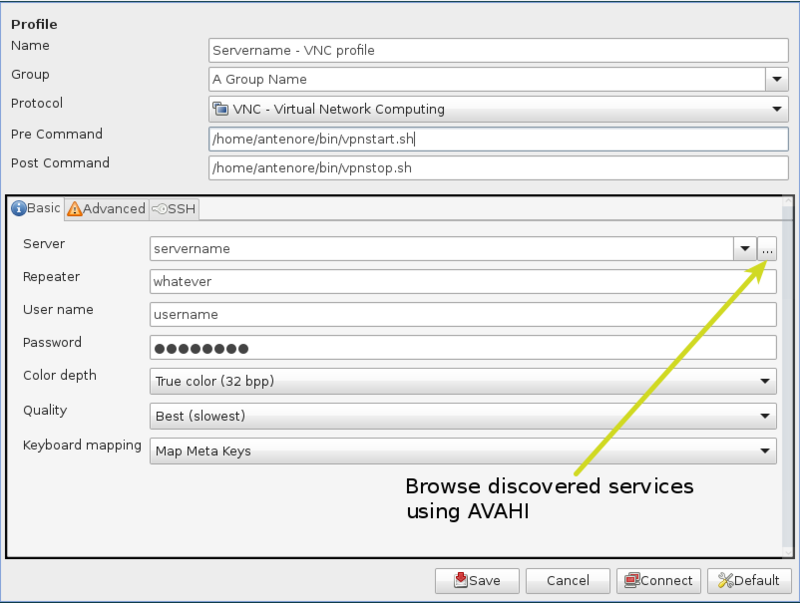 Only RDP, SSH, VNC and NX are supported in the quick connect. You can group different connections. Name: this is the name you gave to this connection, it's just for you to recognize it easily.